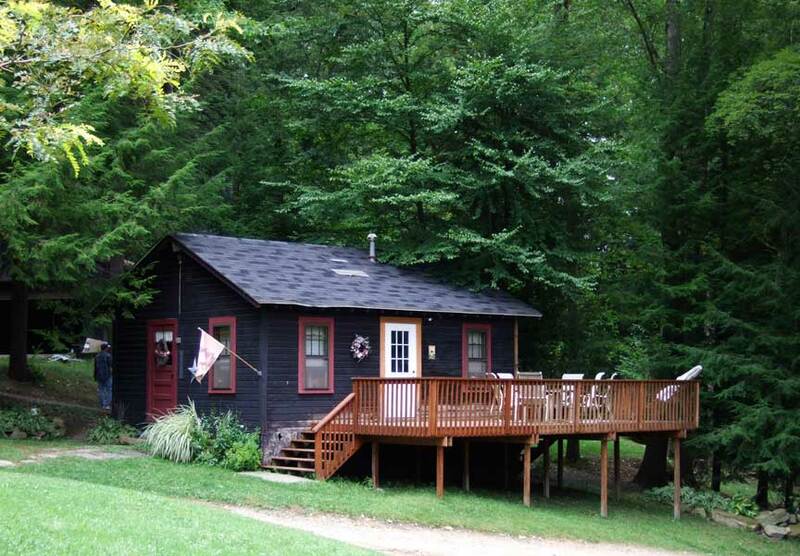 Feel right at home in our cozy little cottage with your own private deck overlooking the beautiful Clarion River. Timberwolf Lodge Cabin. 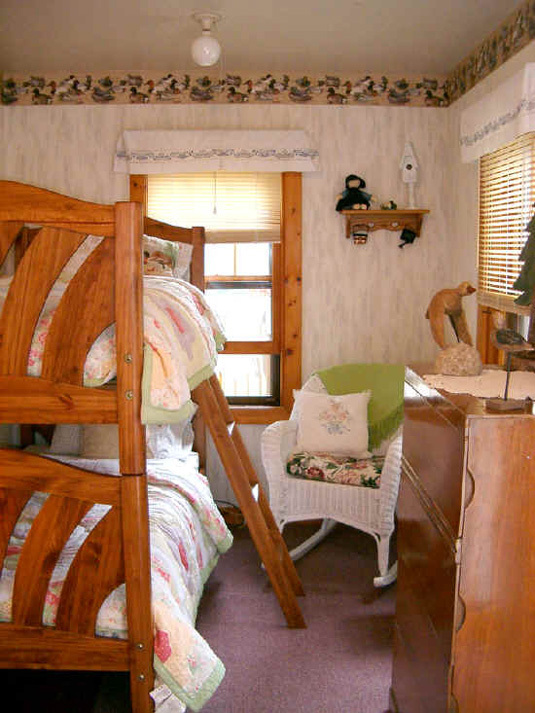 The cottage has two beautifully decorated bedrooms (shown below), a complete kitchen and a bathroom with shower. Sleeps four comfortably; all linens provided. The kitchen is equipped with a refrigerator, stove top & oven, sink, dishes & flatware, and cleaning products. Bring toiletries, extra towels, and groceries. Bonfire area and room for tent camping located behind cabin. Tent space is available at a rate of $25 per night. Leave the worries of everyday life behind and come and spend time with us at Timberwolf Lodge; we guarantee you’ll never forget your time spent in this tranquil setting.